Miranda I, Pereira H (2015). Variation of wood and bark density and production in coppiced Eucalyptus globulus trees in a second rotation. iForest 9: 270-275. Coppiced Eucalyptus globulus trees with 18 years of age and in a second rotation were analysed in relation to wood and bark density in a spacing trial with five initial plant densities. A total of 25 stumps, with a variable number of stems per stump, from one to three, were analysed. A comparison was made to the previous first rotation single stem trees, also harvested at 18 years of age. The average wood basic density at breast height of the eucalypt coppiced trees was 567 kg m-3, with lower wood density for the closest spacings. The wood of coppiced Eucalyptus globulus trees was 2.5% less dense than that of the single stem trees in the first rotation (average 582 kg m-3). Within the tree, the wood density decreased from stump level to breast height level and then gradually increased until 11.3 m and then decreased slightly. The bark density was, on average, 473 kg m-3, ranging from 455 to 487 kg m-3. The mean bark density was comparable to the bark density in the first rotation. The average bark content was 17.4% of the stem volume, providing 25 to 52 ton ha-1. Compared to the first rotation, the average tree volume in the coppice was lower because the individual trees were smaller by 40 to 66%, while the estimated volume production per ha of the coppice was 1.1 to 1.8 times more due to the increased number of trees that were left in each stump. Genetic control of growth in Eucalyptus globulus in Portugal. I. Genetic and phenotypic parameters. Silvae Genetica 41: 39-45. Breeding objectives for pulp production under different industrial cost structures. Canadian Journal of Forest Research 23: 648-656. How dense is my blue gum? Prediction of whole-tree basic density of Eucalyptus globulus. New Forests 40: 153-164. Longitudinal density variation in irrigated hardwoods. Appita Journal 54 (1): 49-53. Sampling eucalypts for wood and fibre properties. CSIRO Publishing, Melbourne, Australia, pp. 132. Utilization of young plantation E. globulus. Appita Journal 30: 313-319. Wood quality of eucalyptus coppice. Cellulosa e Carta 44: 17-21. Breeding objective for plantation eucalypts grown for production of kraft pulp. Forest Science 43: 465-472. Patterns of longitudinal within-tree variation in pulpwood and solid wood traits differ among Eucalyptus globulus genotypes. Annals of Forest Science 64: 831-837. Genetic correlations between pulpwood and solid-wood selection and objective traits in Eucalyptus globulus. Annals of Forest Science 67: 511-520. Eucalypts for Wood Production. CSIRO, Australia and Academic Press, London, UK, pp. 435. Basic density and fibre length at breast height of Eucalyptus globulus ssp. globulus for parameter prediction of the whole tree. IAWA Journal 24: 173-184. Eucalyptus/Leucaena mixture experiment - wood properties. IPEF Piracicaba 39: 49-52. Coppicing ability of 20 Eucalyptus species grown at two high-altitude sites in South Africa. Canadian Journal of Forest Research 33: 181-189.
δ13C of wood in growth-rings indicates cambial activity of drought-stressed trees of Eucalyptus globulus. Functional Ecology 12: 655-664. Seedling and sprout response to slash-and-burn agriculture in a tropical deciduous forest. Biotropica 30: 538-546. Influence of provenance, subspecies, and site on wood density in Eucalyptus globulus Labill. Wood and Fiber Science 33: 9-15. Provenance and site variation of wood density in Eucalyptus globulus Labill. at harvest age and its relation to a non-destructive early assessment. Forest Ecology and Management 149 (1-3): 235-240. The influence of spacing on wood properties for pulping in Eucalyptus globulus Labill. pulpwood. Appita Journal 56: 140-144. Variation of heartwood and sapwood in 18-year-old Eucalyptus globulus trees grown with different spacings. Trees - Structure and Function 23: 367-372. Incorporation of bark and tops in Eucalyptus globulus wood pulping. BioResources 7: 4350-4361. Genetic parameters and genotype-by environment interactions for basic density, pilodyn penetration and stem diameter in Eucalyptus globulus. Forest Genetics 7: 317-328. Relationship between various extracted basic densities and wood chemical components in Eucalyptus globulus. 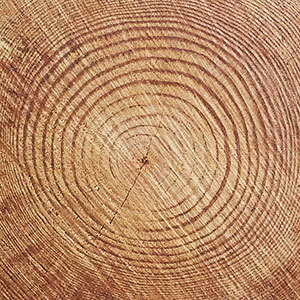 Journal of Wood Science 44: 165-168. Within and between-tree variation of bark content and wood density of Eucalyptus globulus in commercial plantations. IAWA Journal 22: 255-265. Variability of bark structure in plantation-grown Eucalyptus globulus. IAWA Journal 20: 171-180. Chemical composition and wood anatomy of Eucalyptus globulus clones: variations and relationships with pulpability and handsheet properties. Journal of Wood Chemistry and Technology 29: 43-58. Effects of fertilizer on wood properties of Eucalyptus globulus. Canadian Journal of Forest Research 30: 136-144. Nondestructive sampling of Eucalyptus globulus and E. nitens for wood properties. I. Basic density. Wood Science and Technology 35: 27-39. Where to shoot your pilodyn: within tree variation in basic density in plantation Eucalyptus globulus and Eucalyptus nitens in Tasmania. New Forests 15: 205-221. Quality of wood and pulp from a clone of Eucalyptus grandis planted at three locations. Cerne, Lavras 17: 47-60. Growth yield and timber density of short rotation coppice stands of Eucalyptus grandis. South African Forestry Journal 156: 12-22. Intraspecific variability in Eucalyptus camaldulensis coppice and effect of the first cutting on wood density, pulp yield and fiber length. Silvae Genetica 40: 173-179. Wood quality of coppiced Eucalyptus tereticornis for value addition. IAWA Journal 26: 137-147. Eucalyptus species for biomass energy in New Zealand. Part II. Coppice performance. Biomass and Bioenergy 17: 333-343. Analysis of the two first cutting cycles of an Eucalyptus globulus spacing trial. In: Proceedings of the IUFRO Conference on “Eucalyptus in a Changing World” (Borralho NMG, Pereira JS, MarquesC, Coutinho J, Madeira M, Tomé M eds). RAIZ - Instituto Investigação da Floresta e Papel (Aveiro, Portugal), 11-15 Oct 2004, pp. 283-289. Age trends in genetic parameters for growth and wood density in Eucalyptus globulus. Tree Genetics and Genomes 6: 179-193. O modelo GLOBULUS 2.1 [The model GLOBULUS 2.1]. Relatórios Técnico - Científicos do GIMREF, no. 1/2001, Departamento Engenharia Florestal, ISA, Lisboa, Portugal, pp. 198. [in Portuguese]. Equação de volume total, volume percentual e de perfil do tronco para Eucalyptus globulus Labill. em Portugal [Equations for total volume, percent volume and stem profile of Eucalyptus globulus Labill. in Portugal]. Silva Lusitana 15: 25-39. [in Portuguese]. Improvement program for Eucalyptus globulus at PORTUCEL: Technological component. Appita Journal 45: 403-407. Comparison of tree growth, wood density and anatomical properties between coppiced trees and parent crop of six Eucalyptus genotypes. In: Proceedings of the IUFRO Conference “Eucalypts and Diversity: Balancing Productivity and Sustainability”. Durban (South Africa) 22-26 Oct 2007, pp 1-10.